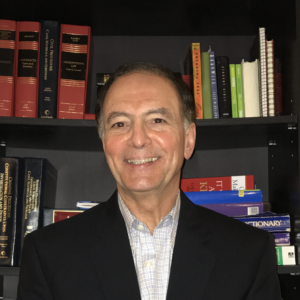 Steve is certified by the Louisiana Board of Legal Specialization as a specialist in Tax Law and Estate Planning and Administration. Over the last thirty-plus years, he has assisted hundreds of individuals, businesses, and non-profit organizations. Steve is licensed to practice law in Texas and Louisiana. He is also a member of the Texas Bar Association, Louisiana Bar Association, and the American Institute of Public Accountants. Prior to practicing law, Steve owned and operated his own CPA practice. He faithfully served the community in this capacity for over 20 years. He gained essential knowledge and experience that translates to his practice of law. Steve and his wife, Mary, have three children — Michelle, Jennifer, and Paul. Steve also serves as pastor at his church.